This article is part of a follow-up series for Demand Media Studios writers interested in moving past the content mill to find higher paying freelance writing jobs. 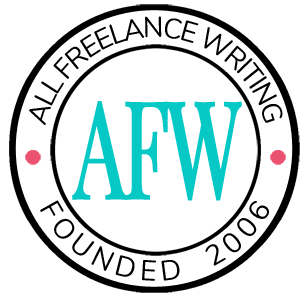 This series features freelance advice for five writers tailored to their individual needs and goals. First let me apologize for the delay in starting this series. My schedule is a bit wonky these days as we've been moving into a new place. Thank you to the writers involved for their patience. Let's get to it. The first freelance writer with a story to share this week is Steve Sloane. Steve is a relatively new freelance writer with experience writing for only two companies -- one being Demand Media and the other being a website where he contributes film reviews. He has approximately 1800 articles published on Demand's eHow, mostly in the home repair / DIY niche. The vast majority of those articles paid just $15. Steve would prefer to write about film, his main passion. But work has dried up with his client in that niche. He has his BA in both Film Theory and Creative Writing. Despite his passion for film, he does understand that it's an in-demand niche and he's open to other opportunities. His experience in the home repair and DIY area is based on his own experience building a house and spending years being just generally handy. He would like to move from $15 articles to a minimum of $50 for a 400-500 word article. I think $50 per article is a very achievable goal and a good target for newer writers looking to write Web content. While I'd love to see Steve move immediately into full-time film reviews, I'm intimately familiar with the difficulties in creative markets like this. First, they don't tend to monetize well through advertising (meaning site owners often won't spend as much as other types of clients as they see less of a financial return). Another issue, as Steve also pointed out, is that everyone and his brother thinks they can write reviews in these niches (my experience more on the music side, although I've seen similar things in film reviews). With that in mind, I think Steve is a prime candidate for dual specialization. As we've talked about numerous times here, being a specialist as a freelance writer does not mean you're limited to a single kind of writing or a single niche. It means you focus on one or just a few areas, but more importantly you focus on areas where you can offer the most value. I think Steve has an adequate background in both the film and DIY niches to make a go of them. Normally when I suggest multi-niche specialization, I encourage writers to stick to areas similar enough that they don't have to target two completely different markets. In this case, I think he can make it work -- essentially using one specialty to buy him time to build a reputation in the other. Basically, I suggest this: Focus on home repair / DIY, but carve out a portion of each work week for film reviews. As Steve grows his client base on the film side, he can transition away from home repair content if he wants to. In the meantime, home repair and DIY material seems like the broader market with more pay potential. To take it a step further, I'd suggest branching beyond the most basic of Web content (like the shallow content found at eHow). I'd encourage Steve to start his own website in the niche. It could be an ongoing blog, or it could be a specialized niche content site with some static articles that he doesn't have to update frequently. He could also consider narrowing down the DIY niche a bit. For example, he could focus on apartment dwellers with special needs (such as not being able to put holes in the wall). Or he might combine his love of film with the niche and focus on DIY projects for those interested in setting up their own home theaters. Once he has a niche site (even a small one), he can use it to build an audience of readers in the niche -- not just potential buyers. When readers respect what you have to say in your specialty area, it can make you more attractive to clients who want you to bring your audience with you when you write for them. Better yet, niche sites can be income sources on their own. Speaking of income sources, I also think e-books are a great thing for Steve to consider. Moving into a new home myself right now, I have tons of questions and ideas around home improvement, decorating, finishing rooms, etc. I own a few huge home repair / DIY books, but they can feel overwhelming. They cover a lot of basics, but sometimes not enough about specific things I'm interested in. Smaller books about these areas could be good, even in e-book form (from flooring to finishing basements). Plus, it can be more profitable to sell let's say six short e-books at $5-10 each than a longer, more expensive one covering everything. Those are two options Steve has for not only additional income streams but also portfolio pieces. They can help him build his audience and potentially attract more clients as he becomes more of an authority source. When it comes to the film side of things, again I suggest starting his own site first. In this case I think a blog or other regularly-updated site makes the most sense as the film scene constantly changes. Because anyone can share their opinions on films on the Web these days, I think it's extremely important for Steve to come up with a brandable identity for this specialty area. He also might be able to stand out a bit more with a genre or other kind of specialization (such as reviewing horror films or indie films). Steve really seems to understand that great reviewers don't just spew their opinions. They really have to know the film world, context, and as he put it "research and work." Having his own film review site shows prospects exactly what kind of reviews they can expect from Steve, and how his reviews differ from fly-by-night film reviewers just in it for a bit of fun. It gives him a chance to set a professional tone in the way many others have not. While Steve can start pitching film review sites, local newspapers, online local sites, entertainment sites, or any other kind of prospect that might be looking for reviewers, I think his best chance for immediate income in his target price range is to pitch the DIY articles up front while he builds an audience for his film review site. If he can tie the two areas together (like the DIY home theater specialty I mentioned), all the better. It can save him a lot of time later when he's ready to focus even more on promoting his film industry writing. Over the long term as he builds a fan base with his film reviews, Steve can take on fewer home repair and DIY projects in favor of pursuing his passion. In an ideal world, we would do nothing but that. But the reality is that we have to pay the bills. Fortunately Steve doesn't seem to dislike writing in this potentially more profitable niche. Focus primarily on your more profitable niche (home repair / DIY in this case). Go with direct pitching for quick results when you're fairly new. Think outside the box when choosing who to pitch; look beyond the most obvious prospects if you want to decrease competition for gigs. Set up your own niche site and use that content for portfolio pieces rather than relying too heavily on your content mill work to sell you to another level of client. Build your platform and audience in your favored niche while the other brings in income. When building your platform, try to focus on income-generating tactics (like blogs and e-books). The earlier you start these things, the sooner you'll have extra income coming in to cover you during slow periods. Ideally find ways to tie your two specialties together, even loosely. It can help you decrease the amount of time you need to market your sites and services when you're reaching similar audiences. Do you have other tips and ideas specific to Steve's situation? If so, leave a comment below to share your thoughts. Thanks I grabbed some very specific ideas from this post! The world of freelancing is extremely overwhelming simply due to the bulk of opportunities available. It’s nice to know how to zero in on specific opportunities and follow a more directed path. I found this post to be very informative, but I still have a question. How do you determine what sites you should target for pitching ideas? I also specialize in diy projects, but I get a lot of “not interested” responses. Any suggestions on how to get some “yes, please” responses? Thanks! “Not interested” responses are just a part of the business if you want to get into direct pitches. It’s a numbers game. Pitch 25 sites a week and you might get one or two bites. It might seem like a lot of work (and it is), but it will get a bit easier over time as you get used to those rejections. Remember not to take them personally. And remember that even if someone isn’t interested now, they might be in the future. By reaching out, you’ve made the connection and you may come to mind if a suitable project comes up. Another freelancer and I were talking a couple of days ago about issues around networking and pitching — specifically whether or not you should pitch clients of colleagues in your network. I won’t get into all of that here, because that’s a post in and of itself. But here’s a tip I offered that writer. Look at who your most directly competing colleagues are working with (from a client list or their portfolio for example). Then, instead of pitching those same clients, think about who their competition is. Pitch those companies. If something works for their competitor, they probably don’t want to be left behind. Maybe they just don’t know how to approach that work. You can step in and offer your assistance to make them even more competitive. For example, does a competitor blog for a big development firm? Then look to other competing firms that might have similar goals and offer to help them set up a blog as well. Thanks for posting this. I appreciate the discussion of the dual niche, as I have ended up specializing in both music and travel and plan to continue to do so for the time being. Everything I’ve read seems to say you must stick with only one niche, so this post was enlightening. Ah, the joys of home ownership. We dealt with a similar issue where sellers failed to disclose something pretty crucial (and expensive) when we bought our home. Luckily we were able to eventually get it settled out of court. I hope your situation gets resolved quickly and amicably, Jenn. Steve- trade magazines– SO much easier to break into then mass market ones. Is this the end of the series? Weren’t you working with five writers? It’s been more than two weeks since the last post. Sorry Christine. I haven’t forgotten about them. The series was just derailed because of a move (and about a million and a half related problems at the new home). I should be finished with the barrage of contractors and repairs early next week. Unfortunately the Demand issues just came at a bad time which is why I apologized for them previously (may have been on another series post). With some misleading disclosures or lack thereof, certain work had to be prioritized in the home. Short of a new disaster popping up this week, I should be back to regular posting early next week. I’m crossing my fingers. Nice advice. And worthy for the other writers too.